Born in Pakistan, Sikander received her BFA in 1991 from the National College of Arts, Lahore, Pakistan and her MFA from the Rhode Island School of Design in 1995. Through the many mediums she has mastered, from small, jewel-like paintings to wall-size installations and video montages, Sikander challenges convention by crossing artistic and cultural boundaries such as Hindu and Muslim, East and West, past and present, handicraft and digital. 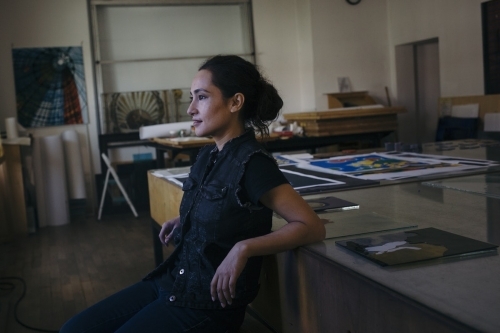 Beyond her artwork, Shahzia Sikander has devoted time to teaching and leading graduate seminars nationwide, including the Art Institute of Chicago, the University of Chicago, Northwestern University and University of Illinois, Urbana-Champaign. Sikander’s overview of her expansive body of work is sure to engage, intrigue, and impress.